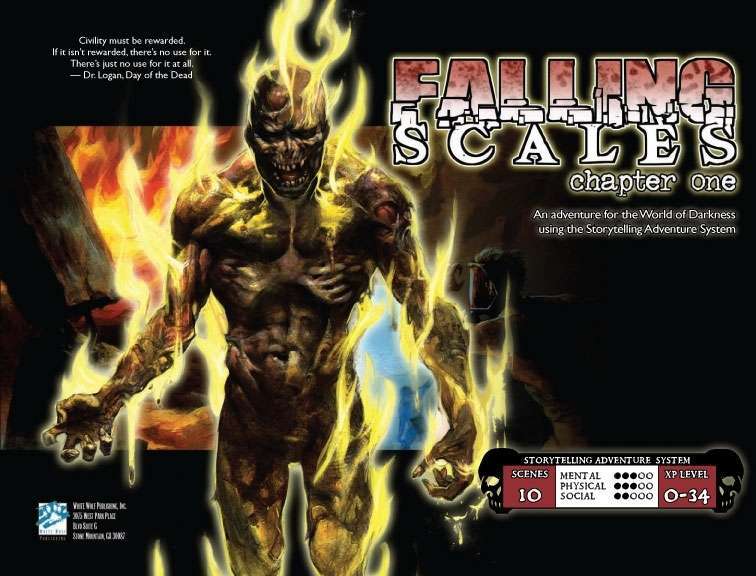 Please note: the PDF version of Falling Scales has a landscape orientation for ease of use on tablets or other electronic devices (just like most White Wolf SASs), while the Now in Print PoD version is 8.5" x 11" portrait orientation like most of White Wolf's books- also for ease of use. Also, the PoD version is 52 pages with a slightly different cover design because of the format change. This title was added to our catalog on February 29, 2012.